On Monday the Correos building in Leon has hosted the opening of a double shows that can be visited in the city until next November 25. This is the exhibition 'La fotografía y los sellos del Camino de Santiago', which as its name indicates that unites the world of philately with photography. 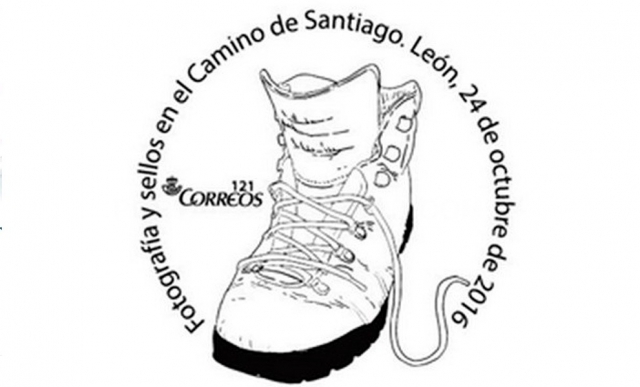 'La fotografía y los sellos del Camino de Santiago' is part of the XVII Jacobean Days organized by the Pulchra Leonina association in the city during these weeks. On the one hand several collections of stamps of great historical value are exposed and the other 40 snapshots X Photo Contest of the Association of Friends of the Camino de Santiago, whose winners were chosen precisely this Monday is housed. The opening of the exhibition was chaired by the director of Zona 1 Correos, Angel Perez; President of the Association of Friends of the Camino de Santiago, Luis Gutierrez Perrino and the Spanish Federation of Philatelic Societies, Miguel Angel Garcia, who also had the president of the council of Leon, Juan Martinez Majo, the Government Sub, Maria Teresa Mata, and the Councillor for Culture of the city, Margarita Torres. With this exhibition Correos highlights in the city of Leon social, historical and cultural importance that keeps the Camino de Santiago through photography and philately, besides presenting a commemorative postmark for pilgrims and visitors to stamp their credentials, envelopes or postcards. Visitors can acerdar the Correos building Leon from Monday to Friday from 8.30 to 20.30, and on Saturdays from 9.30 am to 13.00.